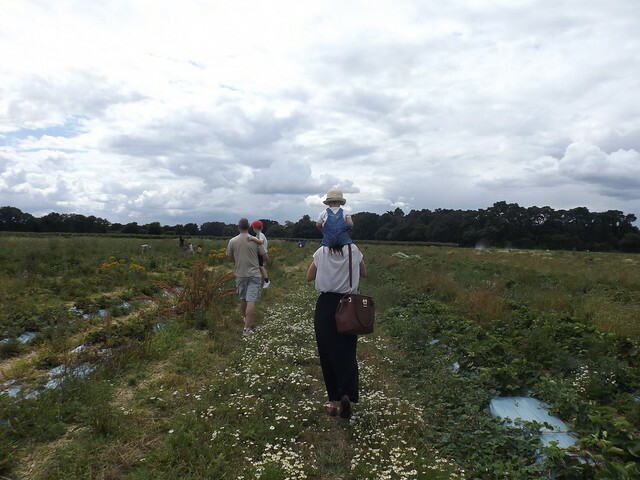 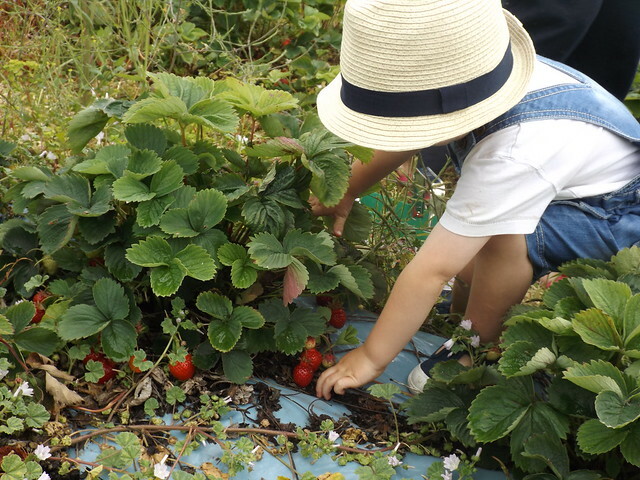 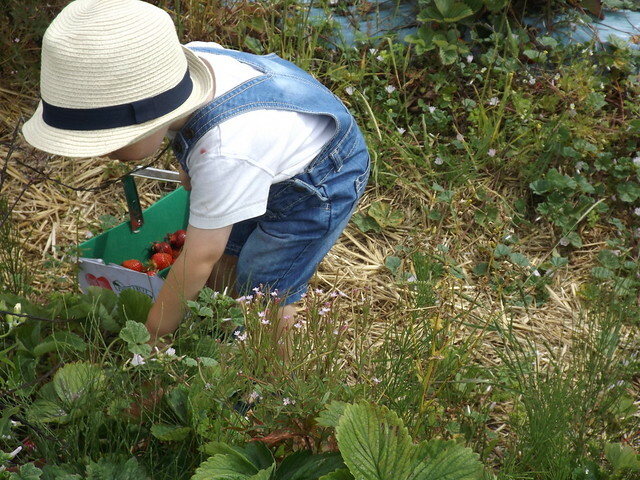 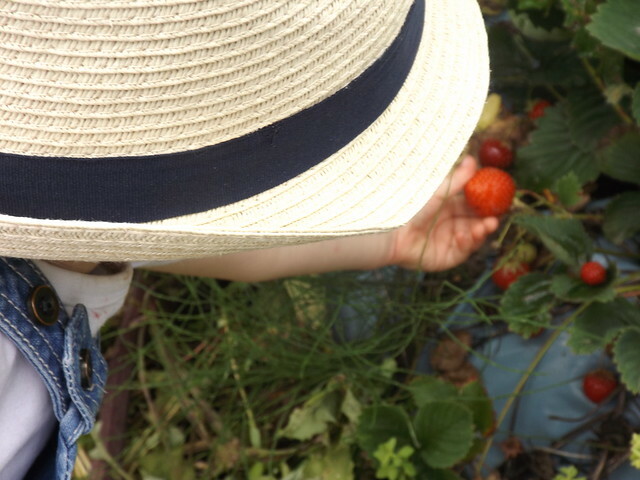 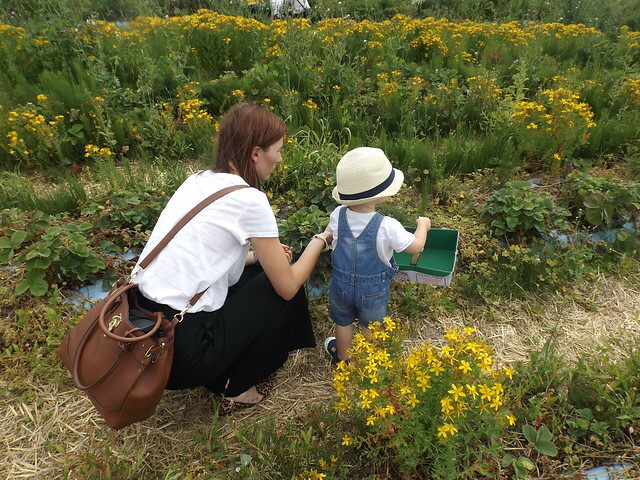 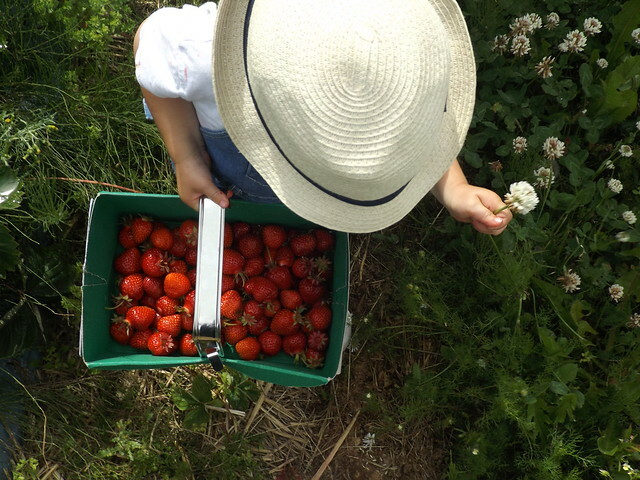 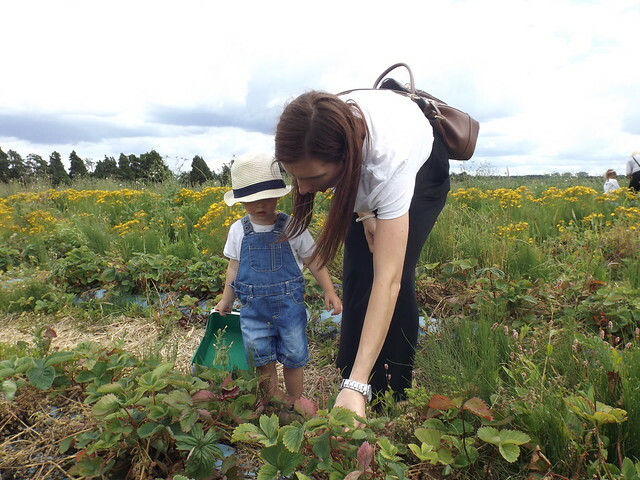 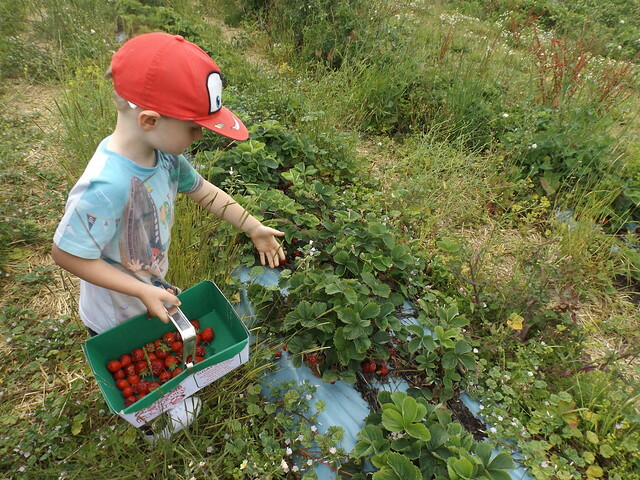 Strawberry picking, tick. 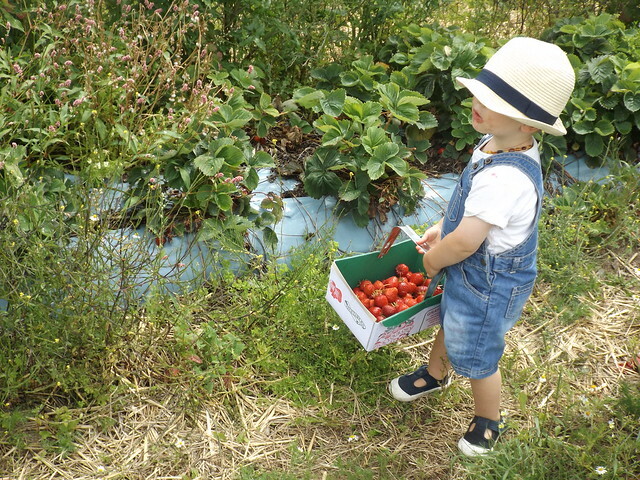 We had fun searching for the biggest, ripest strawberries and we got a good haul. 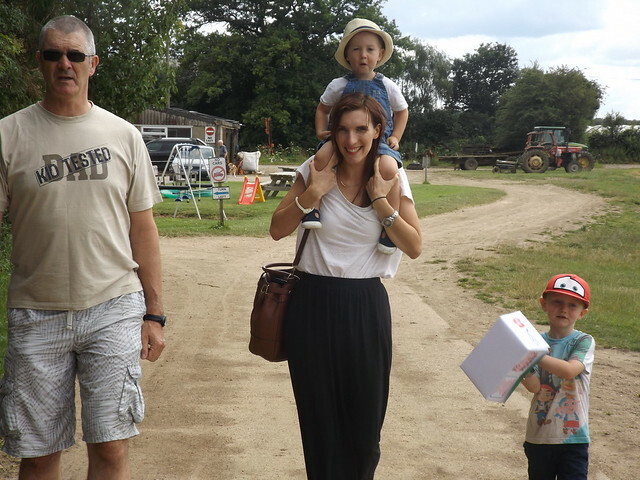 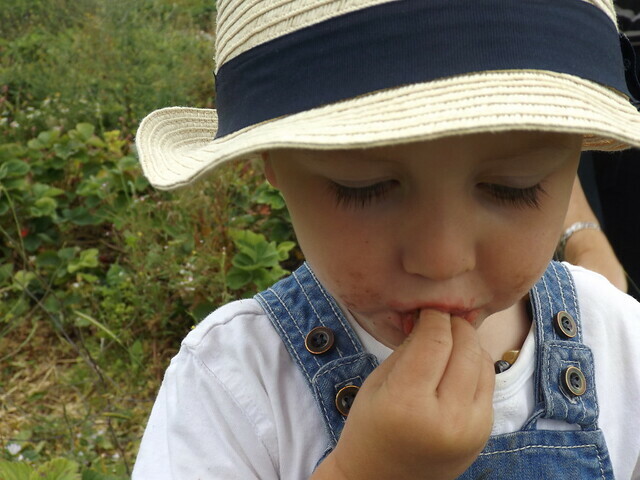 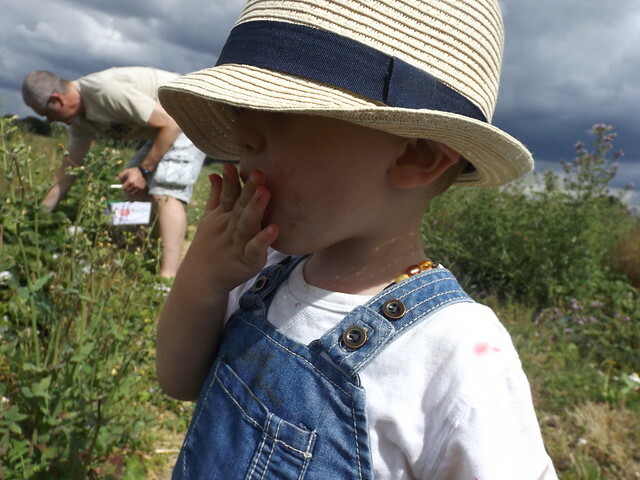 Joshua in his dungarees and trilby just added to the sweetness. 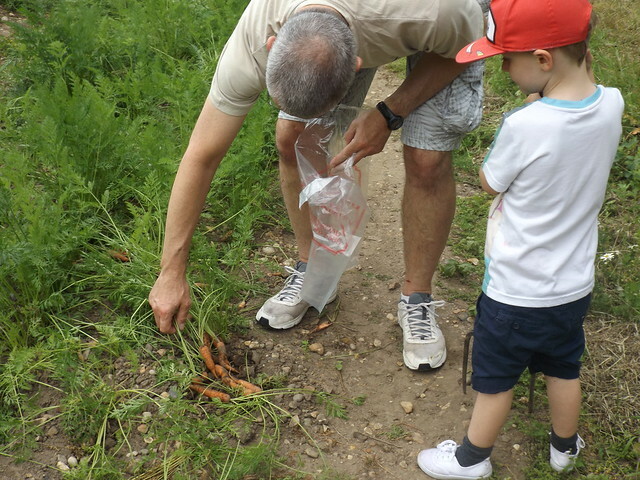 We dug up carrots and picked a few raspberries too. 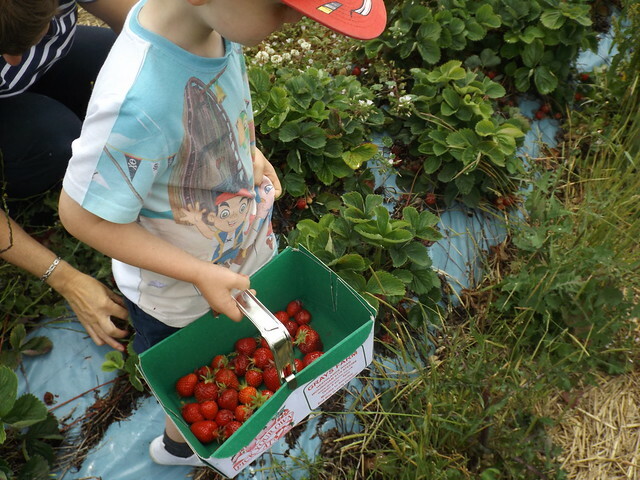 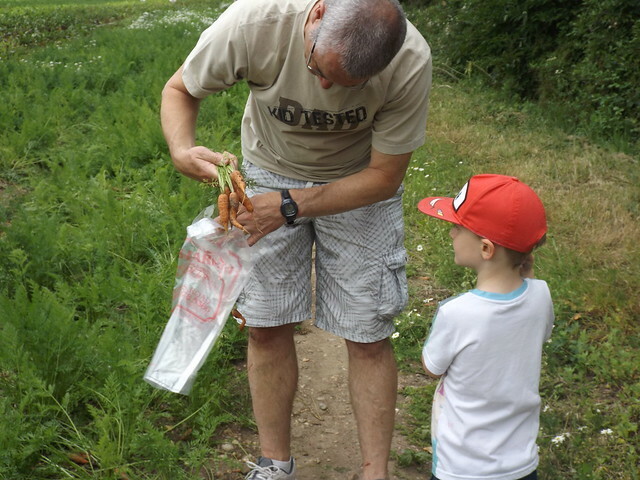 It was good to teach the boys where their food actually comes from, and they were super excited to eat what they picked!